Apple has made bold claims about security and privacy, we deconstruct its overall security posture. Apple Inc. yesterday announced the introduction of Apple Card, a product developed in collaboration with Goldman Sachs and Mastercard, which the company is touting as a “a new kind of credit card” featuring “a new level of privacy and security.” In this article, we unpack the technology behind Apple Card, including its strengths and weaknesses from both a security and privacy perspective. The security integrated within Apple Card is novel as a case study for information security professionals tasked with protecting sensitive information. For example, the card lacks certain cardholder data (e.g. Primary Account Number, Expiration Date and CVV2) which is both integral to the function of conventional credit cards and at the same time a weakness. 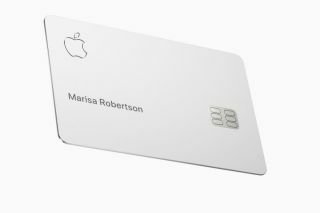 Another novelty and strength associated with Apple Card is that it leverages the heightened security of host card emulation (HCE) – better known as secure element (SE) – a software architecture that enables identification and protection of digital cards. Through these features, combined with many other security enhancements, Apple Card proves that it is possible to provide higher levels of security and privacy even on resource constrained devices. In order to understand Apple Card’s overall security posture, we need to walkthrough the end-to-end flow from card manufacturing to initialisation and registration with a mobile device. This provides a foundational understanding of the security controls built into the Apple Card payment flow. During the manufacturing process, Apple provisions Mastercard’s public key on the physical card chip, which is signed by the chip manufacturer’s public key and then syncs with Mastercard’s tokenisation service, enabling Mastercard to validate the authenticity of their public key. Mastercard’s tokenisation service is responsible for maintaining a registry of all trusted chip manufacturers and its certificates. This registry is held in a trust store, which verifies certificates from a trusted Certificate Authority (CA). Once the consumer has received the card, Mastercards’ payment applet takes payment information from the issuing bank and securely stores it the SE. Users are prompted for a nonce, or special random number, to validate the user’s authenticity. For successful initialisation of the applet, it must validate a unique device PAN signed with Mastercards’ public key using the tokenisation API. Mastercard’s token enrolment APIs negotiate end-to-end encryption protocols between the secure element and Mastercard’s tokenisation service. We speculate that the protocol leverages 3DES, which is then hex encoded and is concatenated with Device Encryption Key (DEK), derived from device key, and the device’s MAC address. Encryption is performed using RSA and gets signed using the ISO 9796. This ensures the key size for both encryption and signature to be 1024 bits. This way, the heavy lifting of encryption is handled by backend servers. Along with that, as there is a device key and MAC involved in the key generation ceremony, there are a few key generation attributes tied to the users’ Apple Card. Apple Card owners will likely need to enrol the card into their iPhone manually by entering the cardholder’s data into the Passbook application (we speculate some form of card identifier will be provided by mail or on the card itself to facilitate this process). The unique card identifier, or temporary DPAN, will then be combined with a owner’s specific key and sent to Goldman Sachs along with their iTunes information such as billing address, full name and phone number over secure encrypted channels. Goldman Sachs would view this information in the clear but Apple asserts that Goldman Sachs will refrain from sharing or selling this data to third parties for marketing or advertising purposes. Using the information submitted from the owner’s iOS device, Goldman Sachs then decides whether to approve before allowing the user to add (or bind) the card to the Passbook app. At Goldman Sachs’ discretion, the bank’s process will include steps for additional validation that the cardholder may need to register the credit card. The account holder may confirm their identity with a one-time code. Once the identity is confirmed, Goldman Sachs will create a DPAN, which is a token-like value based upon the user’s personal account number and the user’s device specific information. The DPAN is returned to the device via a two-way transport layer security (TLS) connection from Goldman Sachs for storage in the iOS device’s SE. The DPAN, stored in the SE, is never stored on Apple Card servers, or backed up to iCloud. In addition, the DPAN is encrypted using the user’s private keys, which Apple does not have access to and so has no ability to decrypt. This clear segregation of keys enables Apple to ensure user privacy is maintained and user spending habits or payment-related information is never shared between the company’s servers. Only applications created by Apple have access to Apple Card payment information. When the any mobile application is trying to access payment information such as transaction history or making a cash transaction, a call is made to the Apple Card Servers with DPAN information to obtain a timebound nonce. This number, along with other transaction data, is passed over an applet to the SE to generate a payment signature. When the payment signature comes out of the SE, it’s sent to Apple Card Servers over encrypted channels. The authenticity of this transaction is verified through this payment signature and the random number provided by Apple Pay Servers. After successful verification of the payment signature, the user’s request is initiated. If the user wants to view the transaction details, then temporary payment applet access is provided to the Apple-created mobile applications. For sending or receiving payment, encrypted payment transaction information is sent back to Apple Card Servers, which is encrypted using the user’s private key. In case additional user identification is requested, then that information is also handed over to Goldman Sachs via Apple Card servers using the user’s private key encryption. The only caveat is that any user enrolled on that device can make a payment on someone else’s behalf provided they can perform touch or face authentication. As shown in this article, foundational security is embedded across the entire payment flow right from manufacturing to successful payment. Broadly, the security takeaways from Apple Card are threefold: First, from an architecture perspective, Apple thought through all the moving parts and managed to achieve security without compromising user experience. Second, rather than introducing a very fragmented ecosystem for payment, they narrowed the players to only Mastercard and Goldman Sachs, which reduces the number of dependencies and overall business risk. Finally, by integrating hardware-based security controls such as tamper resistance and SE, Apple ensured the foundational security of Apple Card is not software-driven, which may have proved more error prone than hardware controls. The only caveat to this approach is that if a bug is found in the hardware, a fix cannot easily be applied.